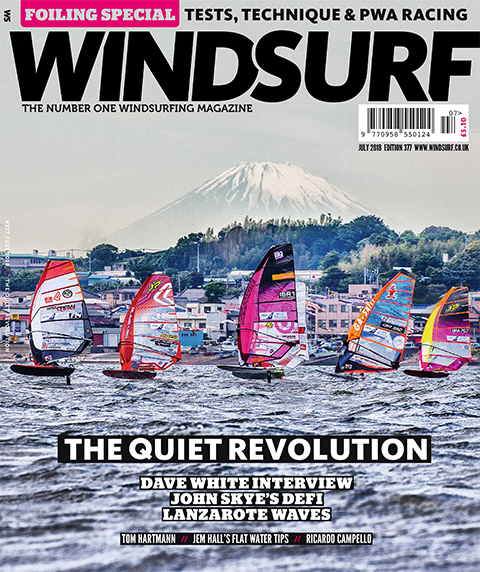 The July 2018 Issue of the world’s only monthly English language windsurfing magazine is out now! 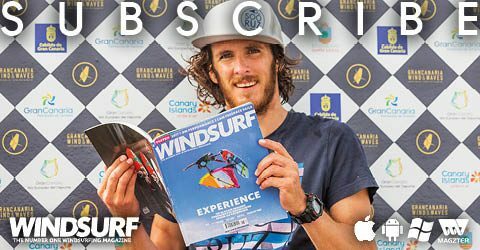 Foiling Special – Freeride Foil & Foil Board Test, Peter Hart’s Foil Tuning & Technique, PWA Foil Racing, Dave White Interview, John Skye’s Defi, Lanzarote Waves, Ricardo Campello’s Wave Paradise, Jem Hall’s Flat Water Tips, British RS:X Team and Tom Hartmann Profile. 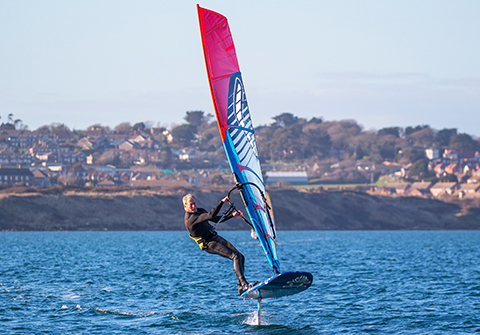 The pros tell us about their foil racing setups and technique and we hear from the PWA race director on the challenges of foiling courses. 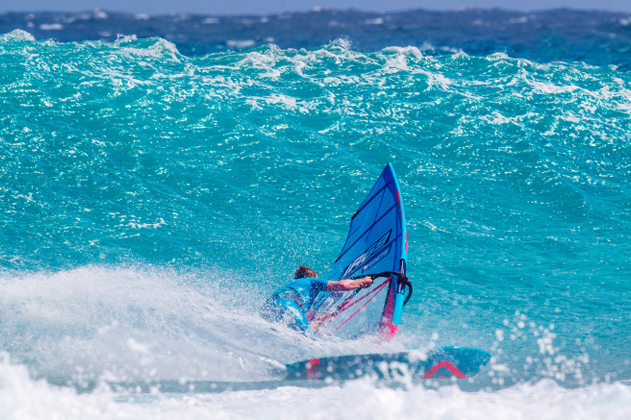 Timo Mullen and John Carter felt the lure of Lanzarote and teamed up with Noah Vocker and Philip Köster at Jameos for a solid session. 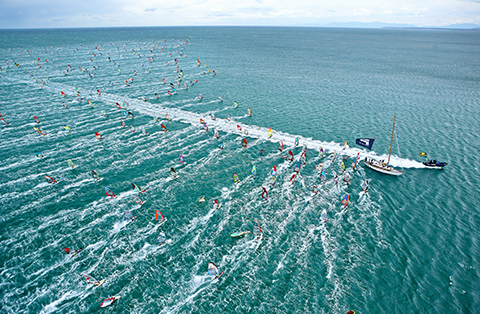 It’s the legendary event that puts over 1000 windsurfers on the same starting line! 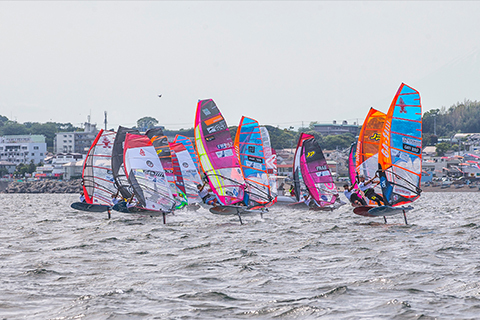 John Skye tells us why Défi 2018 was one to remember! 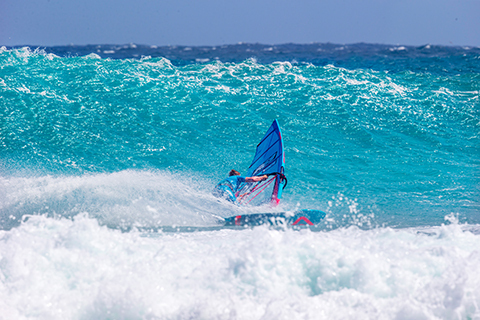 For Ricardo Campello, Los Roques is the place he comes to recharge during the PWA tour’s off-season. He recounts his most recent trip there. If a cat has nine lives, then Dave White surely has ten. He tells us about his recovery from a stroke that nearly claimed his life. 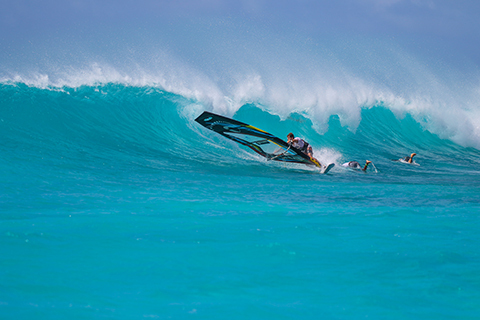 Tom Hartmann spends half the year as a PWA & EFPT judge and the other half in Mauritius. He tells us more about his globetrotting life. Now you’ve got it up, the fun is just beginning! 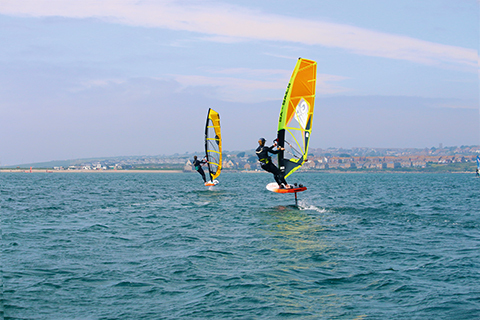 Harty, well aided by Sam Ross and Tris Best, looks at the next level of foiling fun – tuning. 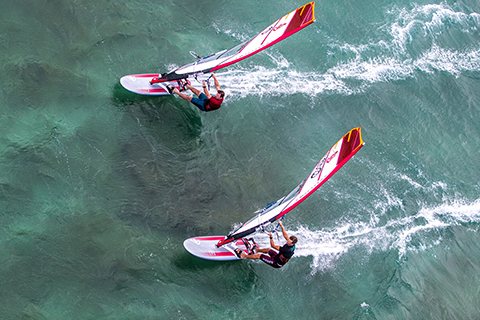 Jem Hall explains how to get the most out of flat water. 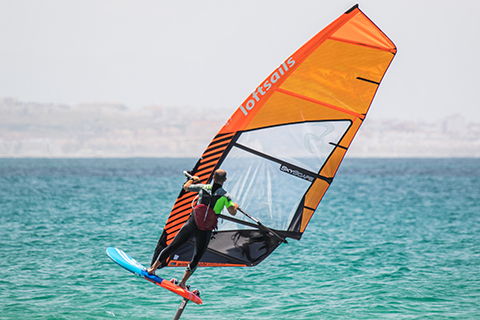 Sam Ross advises us how to make sure you’ve matched your foil to your board and how to get the most out of your first flights and beyond. This is not a drill, we have classified information on the latest and greatest kit and deals. 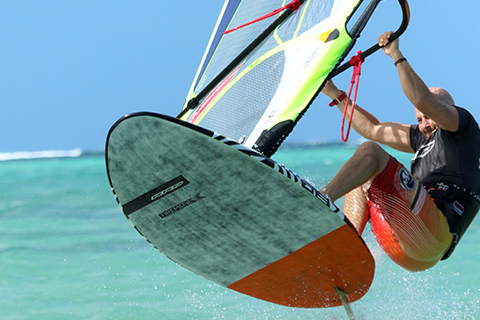 The words the windsurfing establishment don’t want you to read are all here. 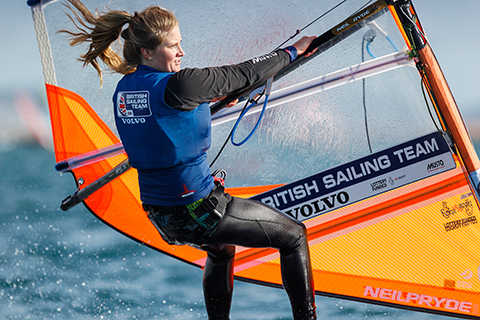 The RYA give us a guide to the RS:X windsurfers of the British Sailing Team due to compete at the World Championships in Denmark this summer. 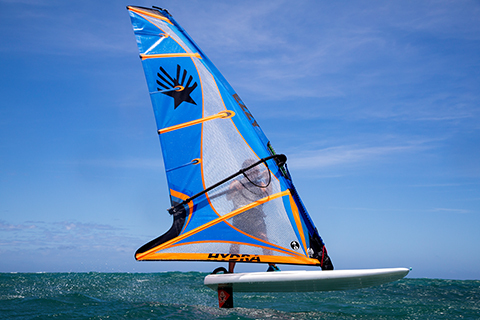 Loftsails have introduced a well developed foiling sail to their range, the Skyscape. We get the lowdown from test pilot Fernando Martínez del Cerro Delgado and designer Monty Spindler. Fanatic describe their new Jag board as “A freerace board set free from the racecourse!” Fanatic brand manager Craig Gertenbach gives us the lowdown on the concept. 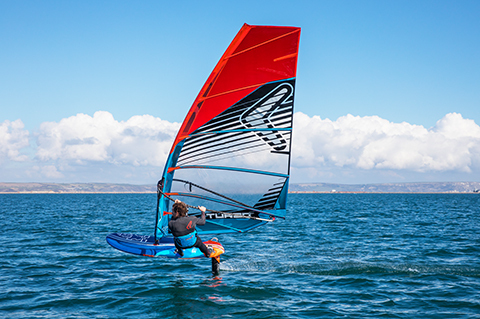 Ezzy Sails have released a dedicated foiling sail with a unique design; we get the lowdown from designer David Ezzy. 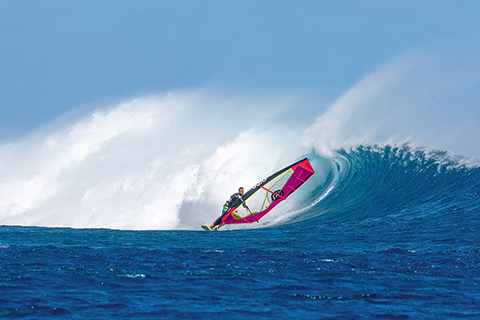 Foil windsurfing may be silent, but the editor discusses why its effects aren’t. AFFAIRS OF THE HART – MAUI – THE BOX IS TICKED. Harty mentors a first time Maui survivor.